Download technical guidance documents, access past webinars, and view communications products and past press documents here. We developed two volumes of technical guidance documents in response to your needs, and we hope that they can help you to develop a high quality, data-driven, and gender responsive Sixth National Report (6NR). In Aug. and Sept. 2018, we offered six regional orientation webinars. We introduced you to UN Biodiversity Lab, and shared the data and analyses available on the platform. We also introduced you to your country's National Project. This is a private section of the UN Biodiversity Lab where your team can conduct its spatial analyses. Access the presentations given here. 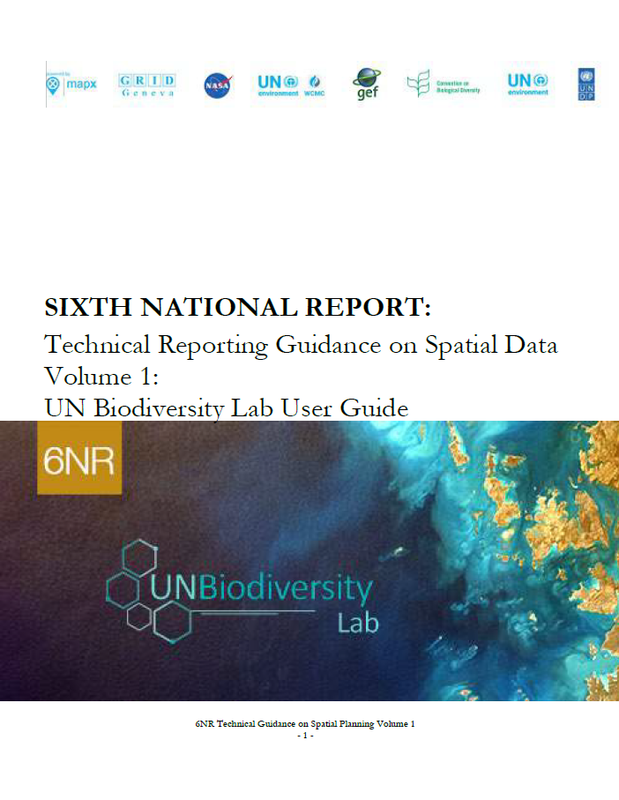 In this webinar, we guided you through the steps required to upload your national-level data to the UN Biodiversity Lab. We also showed you how to ensure your data is in the correct projection and format. We discussed the importance of metadata and showed you how to correctly complete it for your datasets. Finally, we showed you how to view, edit and style your data. This webinar also discussed the other tools that are available on the platform and showed you how to use them to analyze global and national datasets. Download the presentations and the transcript of the question and answer sessions from the NBSAP Forum Page. 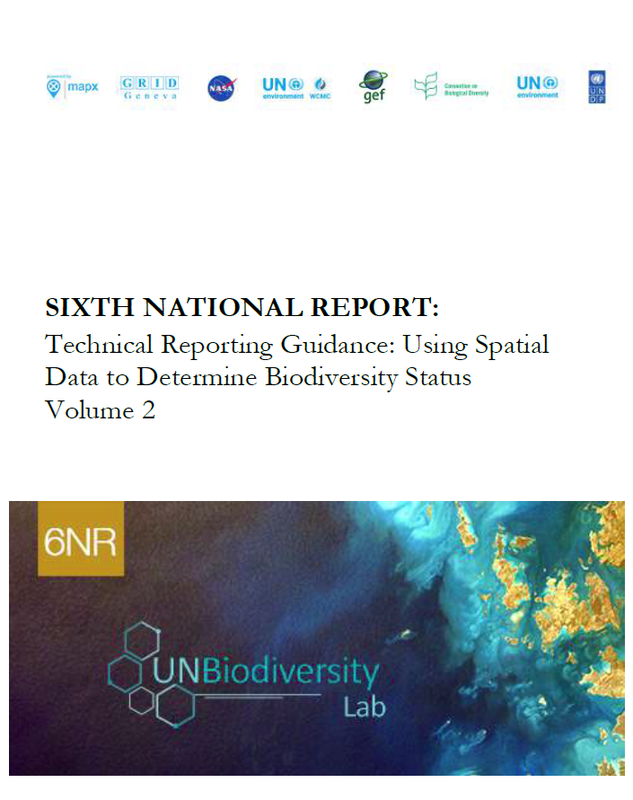 In this webinar, we focused on how you can use the UN Biodiversity Lab tools to make maps that can help report on your country's progress to achieve the Aichi Biodiversity Targets (ABTs) and make conservation decisions. We discussed the benefits and drawbacks of using the global and national datasets that are available through the UN Biodiversity Lab. We also worked together to create simple maps that will help you to report on ABT's 5, 11, 12, 14, and 15. Story maps are a simple, yet powerful tool to inform, engage, and inspire your target audience. They are also an effective way to harness the power of spatial maps to bring data to life, and make hidden stories visible to policymakers or community leaders. The UN Biodiversity Lab's story map tool allows users to build story maps without any GIS or programming skills. In this webinar, we provided you with step-by-step instructions on how to build an interesting and informative story map. During the question and answer session and answer session, participants asked key questions about how they can produce their own story maps.